There are three important organs of the state.They are : Legislative, Executive and Judiciary. Legilative is composed of the people's representatives who are either directly or indirectly elected by the citizens of a country. It is formed to formulate laws of a country. Legislature can be bicameral (having two houses: upper house and lower house) and unicameral (having only one house).Currently, there is the provision of the unicameral legislature in our country which is called the Legislature Parliament it will remain in effect until the general election shall be held for the new legilative under the new constitution. This parliament is the transformed form of the then Constituent Assembly whose task was to draft the constitution of Nepal and enact laws. According to the Constitution of Kingdom of Nepal, 2047 B.S., there was bicameral legislative in which the House of Representatives and National Assembly formed the legislature. The Interim Constitution of Nepal, 2063 had the provision of the unicameral legislative. But, these days, there is new constituion in Nepal which was drafted by the Constituent Assembly. Now, Nepal has adopted the federal system of governance in the changed political scenario. The Constitution of Nepal, 2072 BS has the provison of the bicameral legilative at the central level and each state/ province shall have the unicameral state legislative. 25 years of age for the House of Representative and 35 years of age for the National Assembly. Not convicted by the criminal court. It makes new laws and repeals and amends the old ones. It passes budgets and taxes to be implemented by the executive. It can raise questions about the policies and programs of the executive. It presents no confidence to the government when required. If it withdraws its support to the executive, Council of Ministers collapses. It has the power to reject or accept the decision taken by the executive. It raises questions against executive if there are irregularities and if the executive is not working as per the will of the people. It has the power to approve the budget presented by executive.. It has the rights to dissolve the cabinet with 'Vote of No Confidence'. It has the power to remove the judges through impeachment. It has the right to approve the appointment of judges through the parliamentary discussion. Legislature is necessary because it is the organ of the government that makes laws and passes them and also amends old laws. It is of greater importance. No democratic government can do its duty for the benefits of the people without law and cannot contribute to the development of the nation without law. The Interim Constitution of 2063 has vested the power on Council of Ministers. Initially, the parliament had 330 members and it has now been replaced with 601-member Constituent Assembly in 2064 BS. During the 1st election, Maoist emerged as the greatest power in the country and Pushpa Kamal Dahal became the first Prime Minister of Republic Nepal. In the recently concluded 2nd election, Nepali Congress became the superpower whose chairman Sushil Koirala is the current Prime Minister of Nepal. Subash Chandra Nemwang from the UML became the speaker of the house for both the times. Legislature is one of the important organ composed of representatives who are either directly or indirectly elected by the citizens of a country. It formulate laws of a country. At present, there is unicameral legislative in Nepal called 'Lagislatiture Parliament' and this will function untill the next general election under the new constitution. Functions of legislative Parliament: Enactment of laws, Financial Control, Executive function, and Amendment of constitution. Bill is a draft of law which when discussed and if passed by the parliament becomes formal law for something. Parliament (Sansad) is a national body of elected representatives. 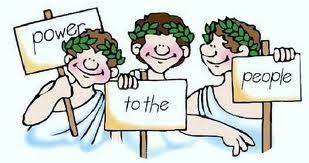 It legislates (make laws) for the smooth running of the government. So, it is called national legislature. Different names are given to this body of representatives of the people in different countries. It is called congress in the United States of America, 'diet' in Japan, national assembly in France and National people congress in china. How does the legislature perform the functions of the formulation of law? The legislature is an institution of the people's representatives. It is given the responsibility of formulating and enacting laws to govern the nation. The members of the legislature are involved in the formulation of law according to the wish and desire of the people. Different proposal are tabled at the meeting of the legislature discussion are held on the proposals in different committees and sub-committees formed in the legislature, necessary revisions, modification are made and finally put forth as bills for enactment. After, such bills have been endorsed by the legislature, they become laws. In our country according to the interim constitution, 2063 BS, the president certifies approved bills and they become laws. Write a paragraph on the importance of the legislative body in a democratic country. The legislative body is the most vital part of any democratic country. It is a national body of representatives called parliament. Thus, it is in this body that the burning needs and wants of the people are discussed. It is in a way, a guide for the government. Similarly, for passing any bills, voting has to take place in the legislature and it also here that issues of national interest are considered. It is also from the legislative body that a government is formed which rules the country. The government, in fact, solely depends on the legislature; the parliament can at any time withdraw its support to the government. In that case the government collapses. Legislature has absolute control over the finance of the country. It also exercises procedure. So, the legislative body is very important in a democratic country. Describe the four powers and functions of the legislature. The first and foremost function of the representative is entrusted with the task of preparing laws according the needs of tie and amending them according to the changing situation. They make discussions on public, opinions and proposals give them a form of the bills after being divided into a committee and sub-committees. When the parliament approves it with the majority, the bills become laws of the country. Thus, parliament is described as a law factory where raw materials of public opinion are converted into statutes, resolutions and public policy. Parliament has absolute control over the finance of the country. All democratic countries follow the principle: "No taxation without consent" of the representatives of people. The government has no power to raise and spend a single paisa without the consent and approval of the parliament. The parliament prepares an annual budget every year. The government can spend money in various works as allocated by the parliament. Therefore, the legislature is called the boss of national revenue. In all democratic countries, the legislature has complete control over the executive. The council ministers remain in power as long as it commands the confidence of the legislature. In a way, the life and death of the council ministers depend upon the parliament. Not only this, all political appointment made by the council of ministers can be questioned in the parliament. In other words, it is a branch of government which is equal to, and independent of the executive. The parliament also exercises certain judicial powers. The chief justice and other judges are appointed on the recommendation of the members of parliament. The parliament can also recommend to the council of ministers for their removal in case of their incompetence of misconduct. The British upper house, i.e. the House of Lords is the final court of appeal in the country. Similarly, the American upper house i.e. the state acts as a court of impeachment for the trail of the president and the vice- president in our country, the changes against any high government official can be put in the parliament. What is legislature? What does our legislature compose of? Legislature is an organ of government that prepares the laws. It amends the existing laws according to time and situation. Our country has recently formed Constituent Assembly. It consists of 601 members. The two hundred and forty members are elected from first-past-the-post and 335 are selected as proportional representative. Rests of the members are nominated by the parliament. Why do the composition, powers functions of parliament differ from one country to another? The composition, power, functions of parliament is differed from one country to another because the policies, programs may vary in terms of population, regions and geographical structure of the country. Some countries have a different political system. Somewhere we find unicameral legislature whereas somewhere we find bicameral. What is Legislature? What type of role do our elected representatives play in the legislative body? Legislature is a very important organ of the government. In a democratic country, it plays a vital role because the legislative form of representation reflects true exercises of democracy in a country. In it there are representative from different parts of the geographical sector, marginalized community, etc. It can thus become a way of inclusive democracy. It can really help to solve the difficulties of the people. They discuss to resolve the problems regarding the national issues, economic crisis, welfare, and development, etc. They choose the executive head of the Prime Minister of the Nation and always give pressure for the betterment of the nation. Suppose you are a representative of your constituency area, What types of works do you focus on your area? In this situation, I am the only representative of this district. So I have a serious responsibility towards my district. I focus the following issues for the upliftment of my district. Road transportation is one of the foremost needs for development. Since many years, the poor people are living with the dream of having roads. If road transportation is at least linked to the Bhupi Sherchan Highway the life standard of people can highly increase through tourism, trade etc. I would focus on the promotion of tourism sector along with the supports of government and the local people. This is a great potentiality, through which the unemployment problem can be tried to gradually decrease. For the uneducated people, the Adult Education Programme can be raised to promote the literacy condition or the people can be given vocational training and skills so as to develop their interest and improve the life standard. 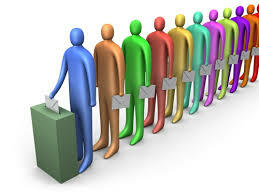 The way of choosing representatives by the people through systematic voting system is ______. Who has got the right to dissolve the cabinet with 'Vote of no confidence'? How many members are there in Constituent Assembly? Making law comes under ______. The head of the council of ministers is ______. The head of the executive is ______. if legistative body cannot do work then our nepal be developed? What is the difference between act , law and policy? Any Questions on 'The Legislative Body of Nepal '?